Made of high-quality forged steel, this tool has two 7/8" tungsten carbide cutting wheels with a titanium coating for durability. The highly effective lever combined with the concentrated points of contact between the material and the cutting edges guarantees extremely high cutting forces and accurate results. Can easily handle hard materials as well as delicate glass. 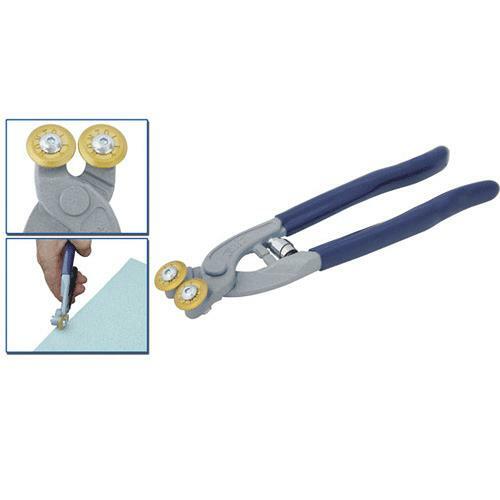 The wheels are angled for optimum comfort and easier handling of your tiles. The wheels close very tightly making this an excellent nipper to cut thin materials such as mother of pearl. Made in Italy.